Zvi teaches Talmud, Halakha and Jewish Thought at Pardes. 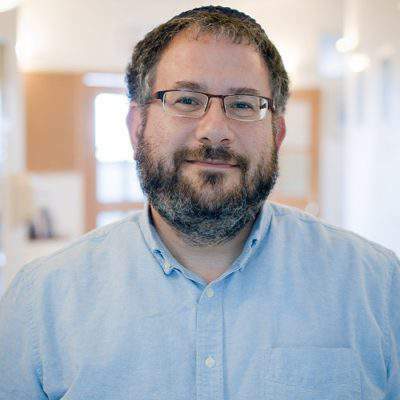 In addition, Zvi is a faculty member of the Pardes Center for Jewish Educators and has been training and mentoring Jewish Educators for over ten years in Tefilah in educational settings, critical issues in modern Jewish thought, and Israel education. Zvi holds a B.A. in History from Columbia University and did graduate work at Harvard University in Medieval and Modern Jewish Thought. He studied at Yeshivat Har Etzion in Israel and has rabbinic ordination from the Chief Rabbinate of Israel. He was the director of Judaica at the JCC of Cleveland and an instructor at the Cleveland College of Jewish Studies for many years. He also serves as a curriculum writer and is involved in staff training for the Nesiya Institute. His wife, Dina, is a faculty member of the Hebrew University School of Public Health, and they have four children.